Placing orders for latest versions of various mountain cutting and road laying machines and equipment besides procuring assault tracks for fast movement of troops. NEW DELHI: In the backdrop of the 73-day- long Dokalam standoff, the Army has decided to significantly ramp up road infrastructure along the Sino-India border and tasked its Corps of Engineers to vigorously work on it to ensure swift movement of troops whenever necessary. Official sources said the Corps of Engineers (CoE) has already initiated a series of steps including placing orders for latest versions of various mountain cutting and road laying machines and equipment besides procuring assault tracks for fast movement of troops. The sources said the Army headquarters ordered over 1,000 dual track mine detectors to enhance Corps of Engineers' mine detection capability. Over 100 excavators with latest features are also being procured to increase the existing capability of the engineers to lay operational track along mountainous regions in Northern sector The sources said over 50 short span bridges and a sizeable number of assault tracks for quick movement are also being procured to increase their mobility. India and China share a 4,000-km-long border. The 237 year-old CoE provides key combat engineering support and maintains connectivity in key border regions for speedy movement of troops and artillery. As per the plan, the Army engineers will initially lay roads in mountaineous terrains and if necessary they will be further strengthened by the Border Roads Organisation (BRO). In 2005, the Border Road Organisation was asked to construct 73 roads in the strategically important regions along the Sino-India border but there has been huge delay in implementation of the project which has apparently left the Army unhappy. They said enhancing infrastructure along the sensitive borders is part of the government's overall strategy to boost combat readiness of the armed forces. The first company of CoE was raised in 1780 and the organisation celebrated its raising day on November 18. The Army has been focusing on enhancing infrastructure along the Sino-India border following the Dokalam standoff. Soon after the face-off ended, Army Chief Gen. Bipin Rawat had expressed serious concern over China's "muscle flexing" and said these conflicts can expand into an all out war. 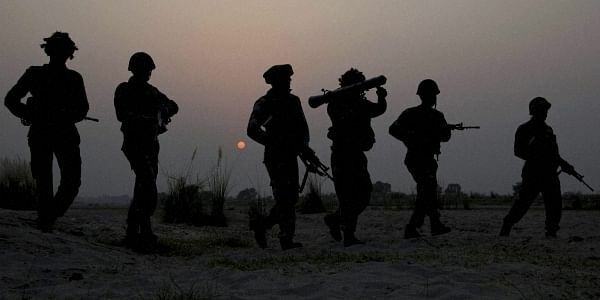 Recently, the Army has also finalised one of its biggest procurement plans for infantry modernisation under which a large number of light machine guns, battle carbines and assault rifles are being purchased at a cost of nearly Rs 40,000 crore.